Get back to what you love through regenerative medicine. What area of the body is giving you problems? Regenerative medicine can help alleviate many of the most common ailments that plague aging athletes as well as anyone noticing problems with any of these areas. Staying on top of the latest in regenerative medicine is critical for Dr. Nash to provide the most advanced treatments to his patients. 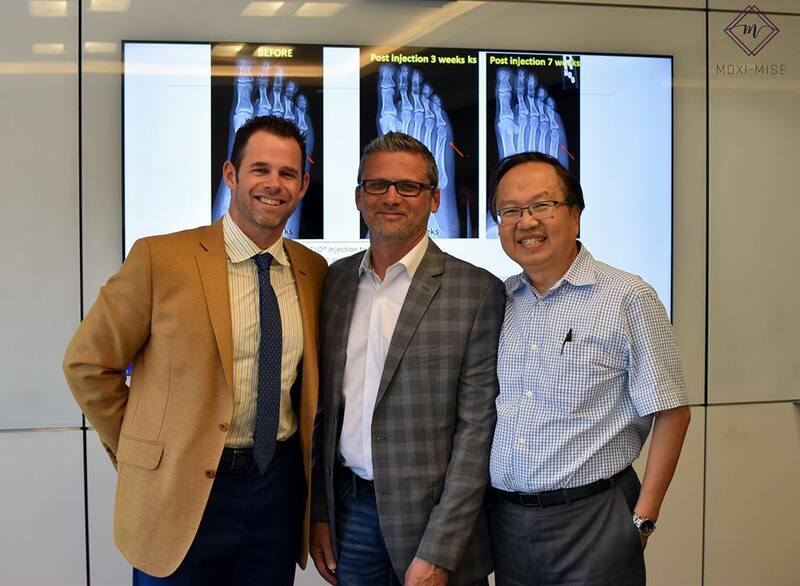 Dr. Nash and his partner, Dr. Pruski (pictured center) were invited to attend Tissue Tech in 2018 to learn more about the latest developments with stem cells and biologics by Dr. Shaffer Tseng (pictured right), Director of Research & Development of Tissue Tech, Inc., Medical Director and Consultant of Bio-Tissue, Inc., and Director of Research & Development of Bio-Lipid, Inc. Proudly serving these communities in the North Houston area.